As well as swimming, visitors can take a break from the water and relax on a sun lounger with a book, and the catering hut will be open serving hot and cold snacks. Come and enjoy the beautiful South Oxfordshire countryside at Little Wittenham Nature Reserve. Explore the iconic Wittenham Clumps with their breathtaking views, head off on a woodland adventure, or discover what's happening on the Earth Trust site. We also have a full programme of events throughout the year. Oxford River Cruises offers public cruises and private and self drive boat hire in the heart of historic Oxford. Our cruises are designed to suit all tastes, from lazy lunchtime picnics and sunset dinner cruises, to corporate regattas and birthday parties afloat. Situated on the bank of the river Thames in Wallingford. 23 metre open air heated pool Paddling pool 18 pitch campsite and amenities block (NO dogs on site). There is also an impressive Beer garden and play area for our younger visitors. Being the only food pub in the vicinity which allows children in all day, we attract many families with a menu tailored to suit all ages and customers preferred tastes. The Bodleian Library offers for family visits for tours, both for families with children over 10. However during most school holidays, they also offer a lively family tour accepting 5 to 11 years olds which includes a visit to Duke Humfrey's Library. Our newly developed decked patio area runs all the way around the pub and promises to be big in the summer. As The Ladygrove is the only pub in the area we are developing into the heart of the community. Great park to play and have fun with the kids includes adventure play area, seasonal paddling pool and crazy golf with clubs available. Or they can go roller skating in their very own skate park for youngsters! Welcome to the historic county of Oxfordshire. If you need child friendly ideas where to take the kids, kids days out, or fun things to do with the kids in Oxfordshire then we can help. We have family pubs with kids play areas, soft play areas, indoor play areas, outdoor play areas, playgrounds, aquariums, castles, stately homes, children's clubs such as Scouts, Cubs, Beavers, Brownies, Guides, youth clubs, activity centres, Air, Sea, Army Cadets, and all in Oxfordshire. We list children's entertainers in Oxfordshire if you are planning a birthday, cinema, theatre, petting zoo, animal farms, children's farms, leisure hire, museum and art gallery, nature areas such as parks, and countryside walks and beaches. We have kids activities related to outdoor pursuits and sports such as swimming, ice skating, ten pin bowling and football centres. We list theme parks and Adventure Parks in Oxfordshire. If you are looking for zoos with more exotic animals then we have them. We have days out with the kids in Oxfordshire in and near :- Abingdon, Alkerton, Ambrosden, Banbury, Bicester, Carterton, Didcot, Hayford, Henley-on-thames, Kidlington, North Hinksey, Oxford, Thame, West Adderbury, Witney. 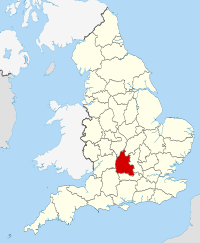 Oxfordshire is a county in the South East of England, bordering on Northamptonshire, Buckinghamshire, Berkshire, Wiltshire, Gloucestershire, and Warwickshire. It is divided into five local government districts: Oxford, Cherwell, Vale of White Horse (after the Uffington White Horse), West Oxfordshire and South Oxfordshire. The county has a major tourism industry. The area is noted for the concentration of performance motorsport companies and facilities. Oxford University Press has headed a concentration of print and publishing firms; the university is also linked to the concentration of local biotechnology companies. The main centre of population is the city of Oxford. other significant settlements are Bicester, Banbury, Kidlington, and Chipping Norton to the north of Oxford; Witney to the west; Thame and Chinnor to the east; and Abingdon, Wantage, Didcot and Henley-on-Thames to the south. Future population growth in the county is hoped to be concentrated around Banbury, Bicester, Didcot and Witney, near the South Midlands growth area. The highest point of the county is Whitehorse Hill, in the Vale of White Horse, reaching 856 feet (261m).